You could take it to, oh, I don’t know…Mexico? We’re facing high stakes in this election. If Hillary Clinton wins, we’ll have our first female president and a lot to celebrate. If Trump wins, his history of xenophobia, lack of (any) foreign policy and anti-women comments will have many voters running for Canada. Whether Trump’s loudly talking over Clinton during debates or dismissing “grabbing women by their pussies” as “locker room talk,” there are legit reasons many want to GTFO of America if Trump wins. Luckily, the company Farm from a Box has got you covered. 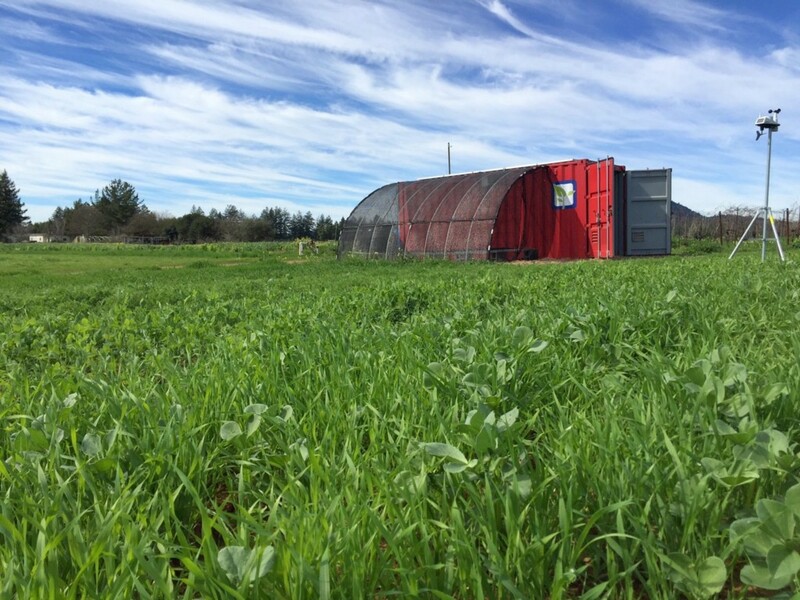 The startup distributes a simple tool kit made from a shipping container that allows anyone to start a tech-powered farm—and, most importantly, live completely off the grid, far, far away from Trump. “The mission of Farm from a Box is simple: provide an enabling mechanism for communities to prosper. We like to think of it as food sovereignty in a box,” the company’s website states. Using regenerative agriculture techniques and precision farming technology, the tool kit enables users to grow food for themselves. 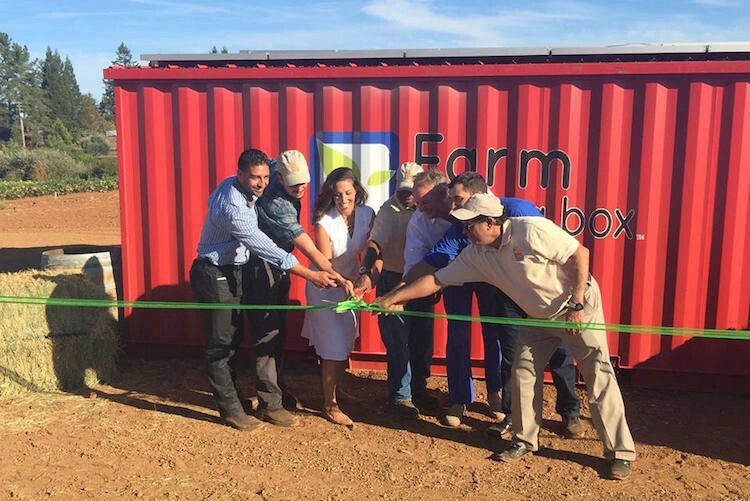 The box generates solar power and collects rainwater as part of a drip irrigation system that delivers water directly to plants. 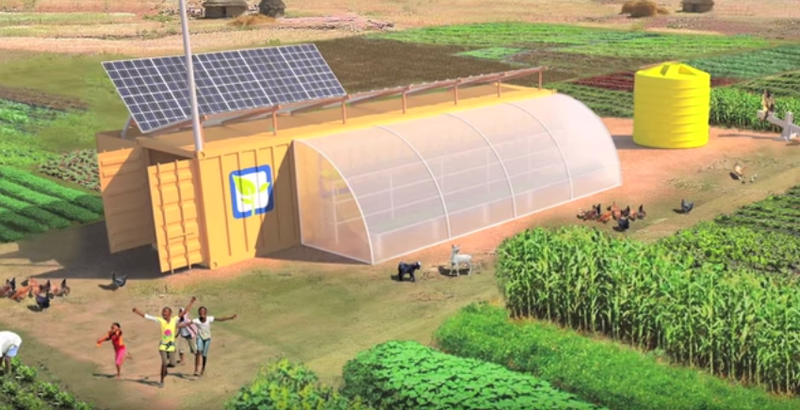 In one year, the farm kit can reportedly grow enough food for 150 people. The pre-fab box comes in 10-, 20- and 40-foot units. Each includes 10 high-efficiency solar modules, off-grid inverters, a transformer and distribution box, and deep-cycle batteries for energy storage. It also comes adorned with high-efficiency LED lighting, secured storage, a mobile charging area, wifi and a remote monitoring solution. So, yes, you can live off the grid and still watch Keeping Up with the Kardashians. Cofounders Brandi DeCarli and Scott Thompson built their business after finding rural communities lacked the infrastructure needed to access nutritious food. “Rather than giving people short-term food aid, we can do better, by giving people the tools and infrastructure they need to do it on their own,” DeCarli said. The box also includes a training program covering basic farming practices and technology use, so even the most inexperienced person can access the kit. The startup company is crowdfunding their product via Republic, and according to EcoWatch, each unit costs $25,000-$45,000. Sure, that might seem pricey, but what’s a few thousand compared to the horrors of Trump as president? Just some food for thought.